music law - Erin M. Jacobson, Esq. is a practicing attorney, experienced deal negotiator, and a seasoned advisor of intellectual property rights who protects musicians, songwriters, music publishers, Grammy and Emmy Award winners, and legacy artists and their catalogues through deal negotiations and proper intellectual property management. I appeared on TAXI TV yesterday discussing YouTube payments, royalty free music, cover records, and more! Thanks to Michael Laskow of TAXI Music for having me on the show! By: Erin M. Jacobson, Esq. This article was originally posted on Forbes.com. When a song has millions of streams on Spotify and views on YouTube, most people think “Wow, that artist must be making a ton of money!” It’s easy to make that assumption when music superstars are seen on television wearing designer clothing and leaving the hottest nightclubs in town, only to drive away in their Bentley to charter a private plane to their yacht. What most people don’t realize is that the above is 1) often an image, 2) accessible to only a small number of music creators within the music business, and 3) there are songwriters who wrote those hit songs and the music publishers that represent those songwriters who are earning a mere $10 per 1 million Pandora streams. Here’s how the structure works. A songwriter writes a composition, which is usually owned or co-owned by a music publisher, a company that handles the management, exploitation and royalty collection for that composition. The music publisher and songwriter split the income from that composition. The main royalties paid for a composition are mechanical royalties for the reproduction of that composition on CDs and via digital means on iTunes and streaming services, and performance royalties paid when a composition is performed in public. Synchronization fees come into play when a composition is used in television or film, but that is a negotiated contract fee separate from a royalty. While performance royalties have recently been in dispute, this article focuses on mechanical royalties. Mechanical rates are set by the United States government, specifically by a panel of judges called the Copyright Royalty Board (CRB). The CRB determines the royalty rates paid to songwriters and music publishers for every sale of a composition via CD or digital service like iTunes, as well as every time that composition is streamed on services like Spotify, Pandora, etc. The current mechanical rates are 9.1¢ for a sale (split by the music publisher and the songwriter), and streaming mechanicals are fractions of a cent per play. This month, the CRB has opened hearings to set new mechanical royalty rates, which will be in effect from 2018 through 2022. The CRB will hear testimony from both music creators and music users and will make its decision in December 2017. While this trial may not be hot news for anyone outside of the music industry, it will determine the amount of money music creators can earn for the next five years. The music users’ side includes representatives from digital giants like Google, Spotify, Pandora, Amazon and Apple. These companies are lobbying to further decrease the royalties paid to music creators. For example, Apple wants to pay a flat fee of 9.1¢ per every 100 streams on Apple Music. Companies like Google, Amazon and Apple make billions of dollars per year, and Spotify and Pandora are not profitable but have billions invested in them, yet not one of these companies is willing to allocate more money towards the people that create the music on which they have built their businesses. It is also worth noting that not only have these companies built their business models on music but also are using music to promote their services, such as Amazon using free music streaming to sell Prime subscriptions. The NMPA has issued an open letter to the digital giant companies, urging them to work with songwriters and music publishers instead of fighting against them. The letter is accompanied by a petition, which has already received over 7,800 signatures. As I have previously written, the music industry will continue to wither without fair compensation to its creators and those that represent them. Creators of music are not all rich superstars. They are regular people with amazing talents to create music that impacts lives around the world. They are people with families and mortgages and bills to pay. They may not work a 9-5 office job, but that doesn’t make them different than the average American, who earns money from a job, and why shouldn’t songwriters and their representatives earn as well? *This article does not constitute legal advice. Erin M. Jacobson is a music attorney whose clients include Grammy and Emmy Award winners, legacy clients and catalogs, songwriters, music publishers, record labels, and independent artists and companies. She is based in Los Angeles where she handles a wide variety of music agreements and negotiations, in addition to owning and overseeing all operations for Indie Artist Resource, the independent musician’s resource for legal and business protection. Today’s music industry is no longer about income from sales. Artists, writers, and the companies that represent them need to find innovative ways to generate additional income streams. In addition to sales, many on the music side have discovered the value of getting synchronization (sync) placements in TV and film. However, this discovery has led to the sync market being oversaturated, and in many cases, reduced fees for sync placements. Another avenue for artists and rights’ owners involves the branding and influencing space. Sponsorships and endorsements, as well as social media influencing, have become different strategies brands can use to market their products via influence from traditional celebrities or “ordinary” people with a substantial online following. Celebrity endorsements tend to focus on the celebrity status boosting the brand or using the celebrity’s image to make the brand relevant to a target demographic. However, the celebrity’s career does not have to have anything to do with the type of product(s) they are endorsing. Influencers are more specialized—they will promote products within certain circles and related to their expertise. For example, a fashion blogger and influencer would promote fashion-related products. Consumers today want transparency in advertising and recommendations to come from personalities they trust. However, much of the advertising they see appears more transparent than it really is. The Federal Trade Commission (FTC) has issued guidelines for social media and other advertising. In endorsement deals I have done for my clients, there are often provisions stipulating that social media posts promoting the brand are accompanied by certain hashtags to clarify that there is an agreement between the brand and the artist to promote that brand. However, as these guidelines are just that, they don’t seem to be heavily enforced and a lot of product promotions are posted without such notification leading the consumer to believe the recommendations are organic and without any connection to or financial backing from the company. In addition to transparency in advertising, consumers and fans want personal connections to personalities they admire. They want to share in the commonalities, hobbies, and lifestyle as it makes them feel emotionally closer to the personality and feel like they are able to live a similar lifestyle to the personality. Lifestyle brands often stem from a specific image and way of life stemming from a certain individual and material they are creating, but as society moves toward touching the inner need of individuals to express themselves, artists like Lady Gaga are combining the traditional model of selling the lifestyle of the celebrity and using the celebrity’s values to promote the fan’s expression of individuality. While artists can tap into commonalities in the lifestyles of fans, doing so for rights’ holders like music publishers and record labels is slightly more difficult. Rights’ holders can seek these opportunities for their artists or writers to involve them as the “face” of a campaign, but in the case of a writer, this plan doesn’t work if the writer is not also a performer. However, in these situations, rights’ holders can seek to use the music as the “soundtrack” of a particular brand by using the sound, feel, and what the music represents to showcase a brand or lifestyle that appeals to consumers. This can be a symbiotic relationship where a more established brand can help break or boost a newer musical talent, but also where more established music can help to break or boost an up-and-coming brand. In most cases, sync rights will be involved in these campaigns, but the relationship can be extended for more than just a single placement. Taking it a step further, having the music or artists involved in events, stores, and activities in which the demographic participates and then having product to monetize at these venues can help to bring the campaign full circle. Both artists and companies like labels may be able to leverage online influencers by having them attend and post about the artist’s concerts or other events. Opportunities on the Internet continue to expand, as social media now incorporates music and short videos and audio clips in addition to photographs. While some of the monetization of the use of the music in these posts can be questionable, short clips of audio and video can be the gateway to monetizing other avenues with more substantial revenue like concert tickets, merchandise, sales, and other participation that leads to larger opportunities. In summation, today’s means of reaching consumers extends beyond traditional demographic analyses. Today’s marketing and ancillary income relies on finding ways to emotionally connect artists and music with consumers in an authentic way and enabling consumers to feel like they are able to express themselves and their ideal lifestyle through their association with the artists and music they consume. Click here to contact Erin to review and negotiate one of these agreements on your behalf, or counsel you on your specific situation. Disclaimer: This article is for educational and informational purposes only and not for the purpose of providing legal advice. The content contained in this article is not legal advice or a legal opinion on any specific matter or matters. This article does not constitute or create an attorney-client relationship between Erin M. Jacobson, Esq. and you or any other user. The law may vary based on the facts or particular circumstances or the law in your state. You should not rely on, act, or fail to act, upon this information without seeking the professional counsel of an attorney licensed in your state. The Most Common Music Publishing Agreements Explained! A Songwriter Agreement usually involves a writer transferring 100% of the copyrights to the song(s) in your catalogue and/or written during the term to a music publisher and a 50/50 income split between the publisher and the writer. While these were some of the most common agreements 60 years ago and are still used today, they aren’t entered into as often because many writers value owning their content more in today’s music market. A Co-Publishing Agreement is very common today and involves a writer transferring 50% of the copyrights to the song(s) to the music publishers and an income split of 75/25 where 75% goes to the writer and 25% goes to the publisher. An Administration Agreement is also very popular today and involves no copyright transfer—the publisher administers (handles licenses, tracks royalties, etc.) without owning copyright. This agreement includes a 90/10 income split where 90% goes to the writer and 10% goes to the publisher as a fee for doing the administration. A Songwriter Split Agreement is something that always needs to be completed when co-writing songs with others. It is essential to minimize disputes between co-writers, but is also usually required by publishing companies, whether you are your own publisher, administer for co-writers or other unrelated writers, or are signed as a writer to a music publishing company. A Songwriter Split Agreement can be custom drafted, or one can use a template from Indie Artist Resource. Many “placement houses” or “pitching companies” that have traditionally just focused on pitching music for placement in TV and film are now getting into the publishing game. The copyright transfer and income splits tend to vary on these deals, and I have seen a lot of them called “Co-Publishing Agreements” that really do not follow the traditional co-publishing model. These can get tricky because of term variations as well as retitling and other practices. Music publishing is one of the most complicated areas of the music business and as you may have gleaned from this article, the associated agreements and principles can get extremely complicated. Any artists/writers should have an experienced music attorney draft their music publishing agreements agreements for them if they are administering their own publishing or publishing for others. An experienced music attorney is also invaluable to review and negotiate any publishing agreements or licenses presented writers, as an experienced music attorney knows what the terms and custom and practice should be, as well as has the training to catch problems or unfair clauses that writers may miss. I regularly draft, review, and negotiate all of these types of agreements, so please don’t hesitate to contact me if I can handle one or more of these agreements on your behalf. Click here to download the video now. This article was originally published on Forbes.com. 2016 saw a lot of lawsuits and lobbying in regards to changes in the music industry. Here are a few major issues that need to be resolved in 2017 and beyond to help sustain the music business. The rates creators and rights owners earn from streaming and views are currently fractions of pennies. A songwriter or rights owner needs to see millions of streams/views to make any substantial income from this revenue stream. Streaming services and YouTube are the biggest platforms for consumers to listen to music, but those that make music are not able to make a sustainable living solely off income from those sources. The rates need to be higher so that those who create music for a living are actually able to earn a living. In a similar vein, music publishers earn less than record labels from YouTube, Spotify, and other streaming and digital services. There is no music – and no recordings to be made of music — without the creation of a musical composition first. When music publishers are paid less than record labels, not only are music publishers earning less, but the songwriters signed to those companies are earning less. If songwriters cannot make a living writing songs, then songwriting will become a hobby instead of a career. Even though labels are making more than music publishers, the amount that the artists make is still substantially small due to the contractual terms with the labels. Again, the artists bringing songs to life are not making sufficient money based on their performances and interpretations of songs, and they will not be able to sustain a career that is financially inadequate. Creators need to be properly compensated and this should be recognized by anyone who values music in their life. The music industry has always operated on a fractional licensing basis where each writer or that writer’s representative controls the respective shares of the songs that writer has written. This model was threatened in 2016 by the Department of Justice that mandated performance rights organizations ASCAP and BMI move to a 100% licensing model, thereby potentially making millions of songs unlicenseable. BMI sued the DOJ and won, but the DOJ has appealed the decision and the outcome is pending. An upheaval of the fractional licensing model would wreak havoc on the music industry and cause creators and creators’ representatives, both within the US and abroad, to be compensated even less than they are now, or make their works unlicensable. This is an unacceptable solution and would be a massive blow to not only creators, but to the music business as a whole. When the copyright law was last written in 1976, the internet was not used by the public let alone as a way to consume music. Therefore all user-generated content websites, including YouTube, etc. are operating in a way not contemplated by the law when it was first written. The law needs to be updated to address how works can be licensed in a way that cooperates with the digital world while fairly compensating those who create the works being used. There also needs to be a better way to deal with online infringements. Most online infringements are dealt with via DMCA (another area of law needing reform) takedown notices, although YouTube is now allowing content owners to share in revenue from infringing videos through their content management system. Again, the amount of money shared in this scenarios is so small that it is not a sustainable model and goes back to the need for increased rates. On a daily basis I am confronted with people who want to use music but don’t want to pay for it. They argue that they should be able to use the music for free because the writer or artist will make money on the backend from sales or promotion. However, that backend money is usually never earned as promised and results in the artist or writer allowing the use of his/her music for free. Companies want to pay less and keep the lion’s share of income for themselves, which again creates a problem for creators trying to live off making music. Internet companies and radio make millions and sometimes billions of dollars per year, and they continue to lobby to be able to use music freely or at least pay less for it, as well as to loosen copyright laws. Many of these platforms have built their business on using music as their main commodity; yet they don’t want to pay for the music that is the central product of their business model. All of the performance rights organizations (most recently GMR) have been fighting with radio and other services to command higher rates for their members and affiliates, but they consistently get pushback from licensees that don’t want to pay. This problem doesn’t stop at the digital realm, as film and television companies also regularly try to offer low fees to use music in their productions. When one thinks back on their life, usually there are certain songs that evoke certain memories, that were important at a specific life event, or that got one through a hard time. Couples usually designate at least one song as “their song.” Certain scenes in films and television shows would not come to life without the use of a particular song being used in that scene. Certain artists and albums serve as the soundtracks of people’s lives. Imagine if all of those memories were taken away because artists and songwriters could no longer have careers making music because they were not paid enough to make a living. Most people wouldn’t go into a store a take a piece of clothing or a table without paying for it, yet those same people think it is okay to take music for free. Most people would not think to ask if they could pay their doctor fractions of his fee because they can, yet people keep offering lower payments for using music. Music has value. Those that use or consume music need to recognize that value, or watch the quality and prevalence of music disappear from their lives. Erin M. Jacobson is a music attorney whose clients include Grammy and Emmy Award winners, legacy clients and catalogues, songwriters, music publishers, record labels, and independent artists and companies. She is based in Los Angeles where she handles a wide variety of music agreements and negotiations, in addition to owning and overseeing all operations for Indie Artist Resource, the independent musician’s resource for legal and business protection. Last weekend I had the pleasure of attending and speaking at the annual National Association of Music Merchants (NAMM) convention in Anaheim, CA (right by Disneyland!). NAMM is a fantastic time to see incredible instruments, hang with musicians and industry folk, and conduct business. Check out my video above where I take you behind the scenes at the convention, and here are some fun photos from the weekend below. Channelling Paul McCartney at the Universal Audio booth! This article was previously published on Forbes.com. Following are the top music legal cases to watch in 2017, what to expect, and how they could affect the industry as a whole. Background: As explained here, The Radio Music Licensing Commission (“”RMLC”) sued performance rights organization Global Music Rights (“GMR”) on anti-trust grounds for creating an artificial monopoly over and charging “exorbitant” licensing fees for works in its repertoire. In a separate and non-retaliatory suit (and explained here), GMR sued the RMLC claiming that the RMLC’s committee of radio stations seeks to discourage competition amongst these stations with the common goal of keeping payments to songwriters and music publishers artificially low and using its collective power to do so. What you might expect: The parties will probably settle, as the implementation of judicial rate supervision would significantly curb GMR’s objectives in negotiating higher rates for its writers. If GMR had to submit to judicial rate setting proceedings, it is probable Irving Azoff would find a way around the regulations to command higher compensation for GMR writers. How it could affect the industry: If radio does not want to pay GMR’s rates, then radio stations can refuse to play works in the GMR repertoire. As a result, these artists would lose the promotion and performance income provided by radio airplay. It could also affect writers belonging to other performance rights organizations that have co-written songs with GMR writers or covered songs by GMR writers. The band Anthrax has already issued an open letter to Irving Azoff seeking to have its name disassociated with GMR, as the band is not a GMR client but is listed in the GMR repertoire because Anthrax covered “Phantom Lord” by Metallica (a GMR client) early in Anthrax’s career. Anthrax is afraid this association could stop radio stations from playing all Anthrax songs. However, the radio stations themselves would also suffer because it would harm stations’ popularity with listeners if stations cannot play the music their listeners want to hear, resulting in a significant loss of advertising revenue. Background: Flo & Eddie of The Turtles sued SiriusXM for playing their sound recordings without paying royalties. In the United States, all sound recordings made after February 15, 1972 are protected by federal copyright law. Prior to that date, sound recordings only had protection under state laws. In 1995, sound recordings were granted a digital performance right to earn royalties when played on digital media like satellite radio or streamed online. This case raised the question as to whether all sound recordings were entitled to the performance right or only those recorded post-1972. Flo & Eddie have been successful in several states to champion the right to royalties for owners of older recordings, but a New York appeals court just ruled against themsaying that the pre-1972 recordings are only entitled to protection provided by state laws. What you might expect: The outcome could go either way here, but its definitely one to watch. A settlement might also be possible for those involved in the lawsuit, however, a settlement would not dictate the future of royalties for other pre-1972 recordings not included in this class action suit. How it could affect the industry: If it is found that pre-1972 sound recordings are entitled to a digital performance royalty, then owners of these recordings and the artists who recorded them would be entitled to an income stream much needed for older catalogues that do not currently make much money in terms of sales or other uses. Satellite radio and other Internet services would have to pay an appropriate amount of royalties, which seems doable for a company like SiriusXM worth billions of dollars, but potentially less so for smaller providers. If the appeal is upheld, then satellite radio and Internet services would continue to play these early recordings without paying royalties to the owners and artists of these recordings and would further the financial hardships for older artists without current hits. A major issue within the trial was whether to consider only the lead sheet (musical notes) deposited with the Copyright Office (protocol at the time “Got to Give It Up” was registered) and not the recording of the song. Insiders of the music community debate the finding of infringement when many of the actual notes were not an exact match in both compositions versus looking at patterns and other music elements that were similar and repeated within both songs. similarity and not virtual identity. What you might expect: This case will once again be closely followed, but the verdict cannot be predicted at this time. A settlement is doubtful because the stakes have become too high for both sides. This case has become much bigger than just the two songs involved. How it could affect the industry: The impact of this decision could set an important precedent. If Thicke and Williams win, it would open the door to frequent usage of elements from older songs with little recourse for the copyright owners of the original songs. If the Gaye family wins, it would probably inspire even more lawsuits for infringement. Regardless of whichever party wins, this case may influence all future copyright infringement lawsuits involving music, as it may dictate which sources (lead sheets, recordings, etc.) can be considered in a copyright infringement suit and based on what is included in those sources, which elements of a composition can be protected and/or infringed. Background: Performance rights organizations ASCAP and BMI asked the Department of Justice (which oversees the consent decrees governing ASCAP and BMI) to reform the decrees based on today’s digital age. Music publishers asked for the ability to negotiate directly with companies licensing music for digital uses. The Department of Justice ruled against all that was asked for by the music community and decided to implement a model of 100% licensing, which mandates that a performance rights organization can only license rights to perform a work if the organization controls 100% of that work. BMI appealed the decision and got an immediate verdict in BMI’s favor allowing the industry practice of fractional licensing to continue. The Department of Justice has appealed BMI’s victory and that appeal is currently pending. What you might expect: This is going to be an ongoing fight to the bitter end. How it could affect the industry: As explained in more detail here, a ruling in favor of the Department of Justice would force the entire music industry to completely change the way it does business, render hundreds of thousands of works to be unlicensable by ASCAP and BMI, place incredible burdens on composition owners to track performances, potentially require hundreds of thousands of contracts to be amended, and would also affect the music industry throughout the world due to the reciprocal agreements ASCAP and BMI have with performance rights societies in other countries. Global Music Rights (“GMR”), a performance rights organization founded by music industry mogul Irving Azoff, sued the Radio Music Licensing Committee (“RMLC”) this week for antitrust violations, claiming that the RMLC’s committee of radio stations seeks to discourage competition amongst these stations with the common goal of keeping payments to songwriters and music publishers artificially low and using its collective power to do so. As I explained in a previous article, the RMLC recently filed a lawsuit against GMR claiming that GMR has created an artificial monopoly over works in its repertoire since GMR can dictate license fees and deny licenses to perform the music it represents if music licensees are not willing to pay GMR’s fees. Azoff founded GMR to offer a more boutique experience for the writers in its repertoire and seek higher licensing fees than ASCAP and BMI who are subject to government consent decrees and judicially restricted rates. The RMLC argued that the license fees required by GMR are exorbitant and seeks to lower them by forcing GMR to submit to judicial rate-setting proceedings, which would require a judge to mandate the rates GMR can charge its licensees. GMR has been in negotiations with the RMLC since its inception, but still have not reached a deal because GMR will not agree to judicial rate-setting proceedings. GMR’s complaint states that its lawsuit is not in response to the RMLC’s previously filed antitrust suit against GMR, but rather “the group’s illegal conduct including price fixing, information sharing and threats of group boycotting.” GMR, who did reach a deal with two individual radio stations, argues that all stations should compete for the music they play, rather than banding together to force the music industry to succumb to low rates in order for music to be played. According to a press release from GMR, radio stations currently pay only about 4% of their revenue to songwriters and music publishers. To further put things into perspective, the RMLC represents over 10,000 radio stations that collectively bring in about $16 billion in advertising revenue annually, whereas GMR is an independent performance rights organization representing 70 songwriters and earns under $100 million per year. As also explained in my prior article, radio stations rely on music for their content. Radio stations and other music content platforms repeatedly seek to reduce compensation to the songwriters and music rights owners that create the very music that establishes their listenership and drives their revenues. Although the stations behavior makes sense from a profit margin standpoint, it is still surprising that radio would seek to so significantly undervalue the music that comprises the foundation of its product. The parties are at a standoff because if radio does not want to pay GMR’s rates, then radio stations can refuse to play works in the GMR repertoire. This is unfortunate for the artists in the GMR repertoire because they would lose the promotion and performance income provided by radio airplay. However, the radio stations themselves would also suffer because it would harm stations’ popularity with listeners if stations cannot play a requested new single by a GMR writer like Drake or Pharrell Williams, or even classic compositions by John Lennon or The Eagles. If radio listeners stop listening to stations because they do not play the music their listeners want to hear, then advertisers will stop buying advertising on those stations and move on to whatever other platforms their target markets have adopted. The RMLC is banking on being successful with this lawsuit as they were in their recent and very similar fight with performance rights organization SESAC. However, if the RMLC is unsuccessful at forcing GMR to submit to judicial rate proceedings, then radio stations will have the choice of either paying higher license fees for GMR artists or losing advertising revenue, a dilemma in which it would probably be to the stations’ advantage to pay the higher license fees requested by GMR than losing its advertisers. Azoff said, “I will not stop the fight for fairness to artists and songwriters,” and he is not alone in his principles. Both creators and professionals within the music industry have seen rates steadily decline and are tired of accepting undervalued rates. Simultaneous to GMR’s battle for higher rates, songwriters and performance rights organizations have been combatting the United States Department of Justice amid other restrictions on music licensing. While the music industry is not dead yet, many within the industry are concerned about the viability of music as a career because without proper payment to songwriters and music publishers, the creation of music may be relegated to a hobby if the majority of creators cannot make a living from creating music. A committee representing roughly 10,000 commercial radio stations has sued performance rights organization Global Music Rights (“GMR”) in an effort to further reduce the amount radio stations pay to music composition creators and rights owners for performances of their works. This committee is the Radio Music Licensing Committee (“RMLC”) and it claims that GMR has created an artificial monopoly over works in its repertoire. Performance rights organizations (“PRO’s”) are organizations that track and collect performance royalties on behalf of songwriters and music publishers. In the United States, there are four PRO’s: ASCAP, BMI, SESAC, and GMR. ASCAP and BMI are the two largest U.S. PRO’s and are also non-profit organizations. Since 1941, ASCAP and BMI have been subject to consent decrees issued by the Department of Justice. These consent decrees are agreements that allow the government to regulate ASCAP and BMI’s license fees and how they operate in order to prevent monopolization and encourage competition. SESAC and GMR are both independent, privately owned companies that operate on a for-profit basis and are not subject to consent decrees. Music industry mogul Irving Azoff founded GMR in 2013 in order to provide a more boutique experience for managing performance rights licensing and potentially command higher rates for the performances of works in its repertoire, which includes compositions written and/or performed by artists such as Adele, The Beatles, Pharrell Williams, Katy Perry, Madonna, and many more. Because GMR is not subject to a consent decree, it can deny a license to perform the works in its repertoire and can also negotiate license rates as it sees fit. The RMLC argues that the license fees required by GMR are exorbitant and seeks to lower them by forcing GMR to submit to judicial rate-setting proceedings, which would require a judge to mandate the rates GMR can charge its licensees. This is similar to procedures mandated for ASCAP and BMI, but without subjecting GMR to a full consent decree. The RMLC previously filed a similar suit against SESAC and reached a settlement in the RMLC’s favor. Terrestrial radio makes its money on advertising revenue, and while radio is far from dead, it no longer holds the status of its heyday. Terrestrial radio and other broadcasters regularly fight to reduce license fees, as terrestrial radio lobbyists were also part of the group in favor of the Department of Justice’s crackdown on ASCAP and BMI’s licensing platforms, the outcome of which is still pending. Most observers of this situation usually fail to mention that the public perception of radio’s purpose is music promotion. Without music driving the listenership of certain stations, those particular stations would not earn the ad revenue from advertisers who want to reach those stations’ listeners. However, the stations repeatedly seek to reduce compensation to the songwriters and music rights owners that create the very music that establishes their listenership and drives their revenues. Terrestrial radio isn’t the only industry trying to reduce payments to music creators and rights’ owners. Those of us who regularly handle music licenses know that attempts to undervalue music also come from Internet and digital companies, as well as small bars and restaurants. Visual productions seeking synchronization and master use licenses also regularly try to lowball license fees or request gratis uses. It is up to music creators and rights’ owners to value music (#valuemusic) and require proper payment for uses of their music, and to those that use music to recognize the value that music brings to their project or business. I am honored announce I am published on Forbes.com. My first article for Forbes discusses Frank Ocean’s decision to go independent after his split from Def Jam. Below is the text of the article and stay tuned as more will be published! Originally published at Forbes.com. Also reposted at Hypebot.com. Frank Ocean has chosen the road less travelled for major label artists. He recently split with Def Jam, independently released his latest album, Blonde to chart success, and has refused to submit the album for Grammy voting consideration. While a major label deal was once the holy grail of industry success, what does it mean for artists in today’s industry? Def Jam released Ocean from his deal in September 2016, a relationship described as “a bad marriage” by Spin magazine who also reported that Ocean’s release from his deal was negotiated. A condition of the split allowed Def Jam to distribute Ocean’s album Endless, while then freeing Ocean to release Blonde under his own imprint. In a recent interview for the New York Times, Ocean described his deal with Def Jam as “a seven-year chess game” and used his own money to buy himself out of his contract and reclaim his master recordings. Ocean’s “seven-year chess game” refers to the seven-album deal structure typical for major labels. Major labels will sign an artist to a seven-album deal, meaning that the artist is obligated (often subject to pick-up options exercisable only by the label) to release seven albums with the label. This concept can be deceiving to those who don’t understand the structure because the length of the contract is tied to the number of albums released rather than a term of years. Fifty years ago the industry moved at a pace where an artist could release at least one album per year and then be done with the contract in seven years. However, artists today often take more than one year to write and record a new album, often not getting back in the studio until being on the road for almost a year after a prior album’s release. The reality of this schedule means that it often takes two years or more before a follow-up release and thus locks the artist into the contract for as long as it takes to complete the seven albums. What is more unique about this situation is that Ocean not only bought himself out of the contract, but bought out the rights to his recordings as well. Major label (and most independent label) recording agreements stipulate that the label will own the artist’s recordings, as the label is usually fronting the money to make the recordings. Recording agreements don’t automatically come with the right to buy back masters; that clause is usually included via a good music attorney that knows to negotiate for it. However, many artists that have buy-back rights included in the contract don’t get to exercise those rights due to lack of funds. Ocean was in a privileged position in that he was able to accumulate enough of his own money to meet what was probably a hefty price for his freedom. Ocean’s move towards independence echoes the increasing trend within the industry to control one’s own destiny and retain ownership of one’s work, a view shared by the majority of my artist clients. Today’s artists relish being independent, but the challenge is remembering that a music career is not only creative, it is also a business and needs to be run as such. Ocean seems to have that mentality. “I know exactly what the numbers are,” Ocean states. “I need to know how many records I’ve sold, how many album equivalents from streaming, which territories are playing my music more than others, because it helps me in conversations about where we’re gonna be playing shows, or where I might open a retail location, like a pop-up store or something.” This level of attention to detail is essential for independent artists looking to build a lasting career. 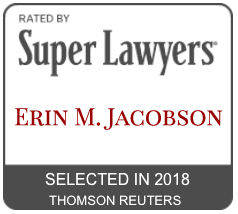 © 2009 – 2018 Erin M. Jacobson, Esq. All Rights Reserved.